Oxo Good Grips Kitchen Tools are a real bonus in the kitchen. I've reviewed a few now and continued to use them all the time because they really are so handy. The 3 Piece Berry Bowl & Colander Set is an incredibly useful bit of kit. As you'd expect it's a great size for rinsing and washing berries, grains and all manner of other ingredients. The colander holes are smaller than rice and it has handles at either side which aren't uselessly flimsy - something that often annoys me with colanders. The bowl has a snap on lid which is great for keeping everything fresh and safe in the bowl if you are picking your own fruits. 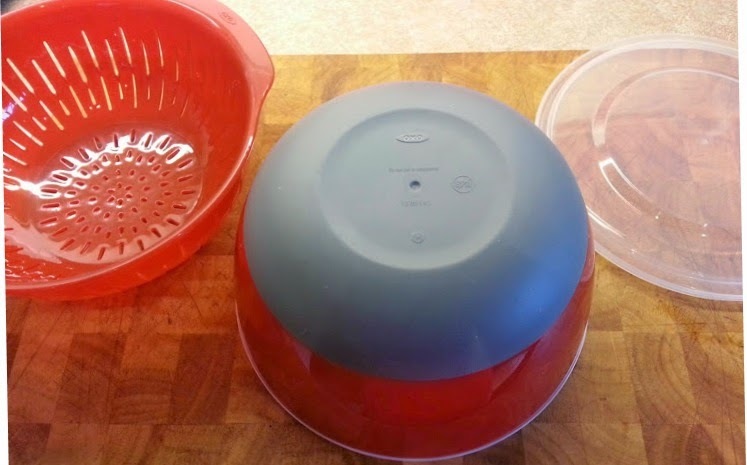 The set stores in one neat unit and comes with a snap on lid for the bowl - this is great, especially for soft fruits, it makes picking, rinsing and storage incredibly easy. 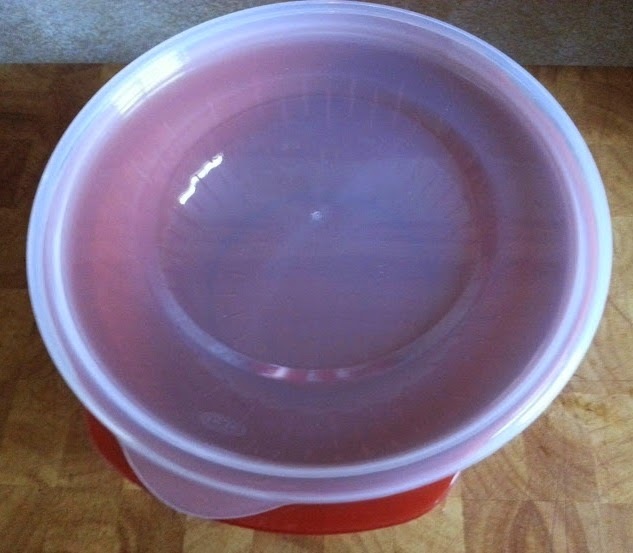 The 1.7l bowl has a non-slip silicone base which is brilliant! If only all bowls had this, it's far better than putting a tea towel underneath to hold it still. 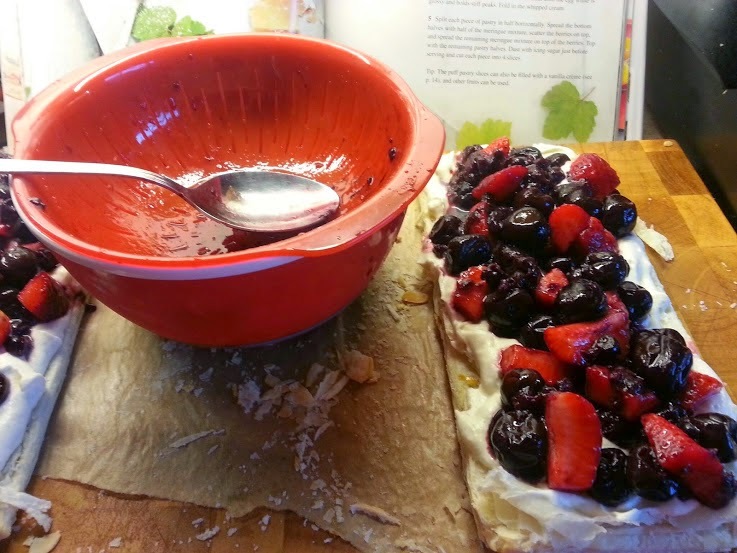 I'm using the 3 Piece Berry Bowl & Colander Set to assist me in making Meringue and Puff Pastry Slices with Berries from the Cooking With Fruit recipe book from Parragon. Preheat the oven to 190C/375F/Gas Mark 5. Line a 30cm x 40cm baking tray with baking paper. Divide the pastry into 2 piles, using 3 layers of pastry in each (if you are using shop bought pastry cut each sheet into 3). Dust with flour and roll out to a thickness of 5mm. Lay the pastry on the prepared tray. Brush the top of both slabs of pastry with the beaten egg yolk. 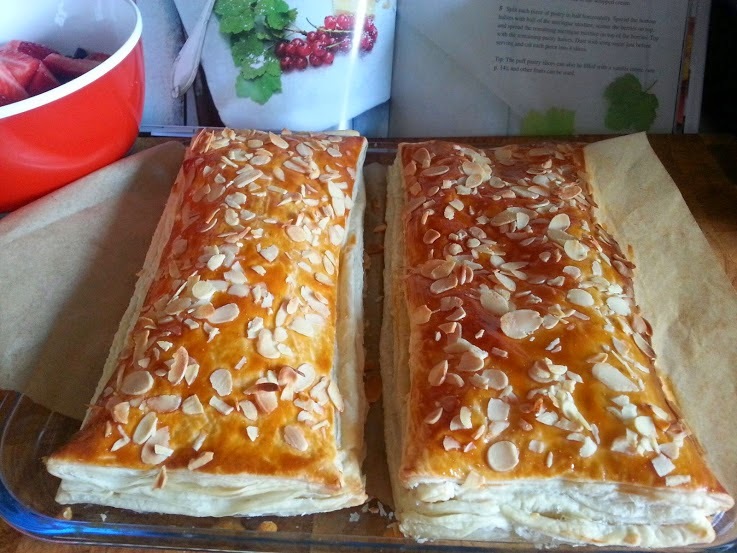 Sprinkle the almonds over the top and bake on the bottom shelf of the oven for around 15 minutes until golden brown. Remove from the oven and leave to cool. Whip the cream with 25g of the sugar until it holds stiff peaks. Cover and chill in the fridge until required. Prepare your fruit. This is where the Oxo Good Grips 3 Piece Berry Bowl and Colander Set comes in. As we're well out of season I was unable to get the suggested fruits, so instead I'm using frozen cherries, fresh strawberries and tinned blackcurrants. Drain excess juice from defrosted fruits to avoid the colour bleeding and prevent everything going soggy. 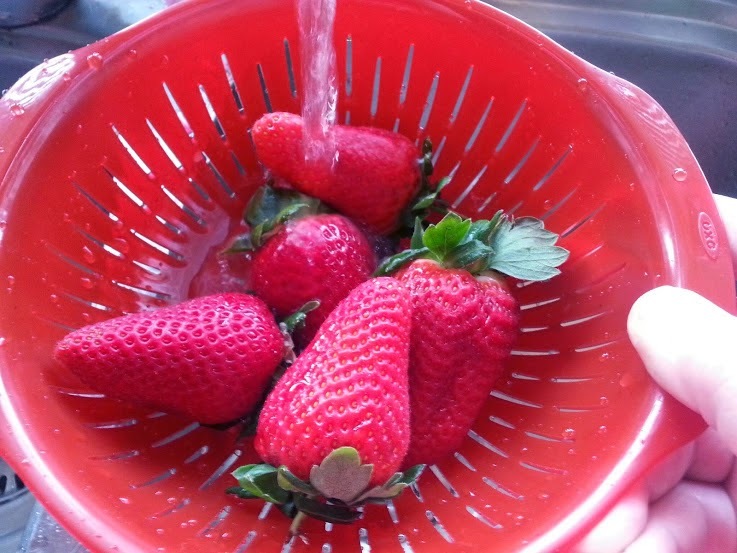 Rinse fresh fruits to remove pesticides, insects and dirt. 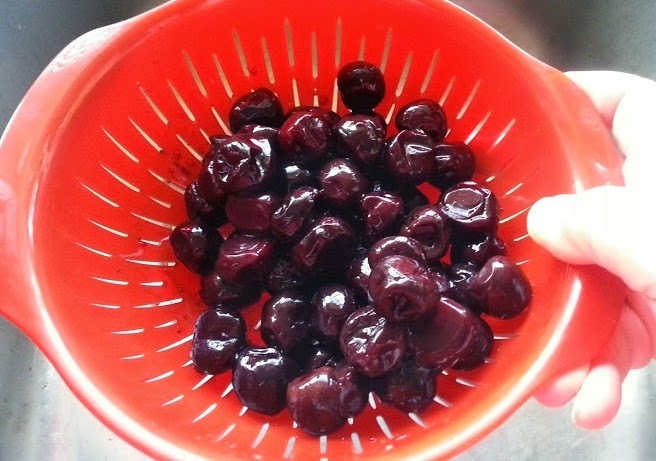 Tinned fruits in syrup can make a sweet dish sickly, I prefer to rinse them when possible. Drain the juice, syrup or other liquid. Halve the vanilla pod and scrape out the seeds. Whisk the egg whites until they hold soft peaks, whisk in the remaining sugar a little at a time and add the vanilla seeds. Beat until the egg white is glossy and holds stiff peaks, then fold in the whipped cream. 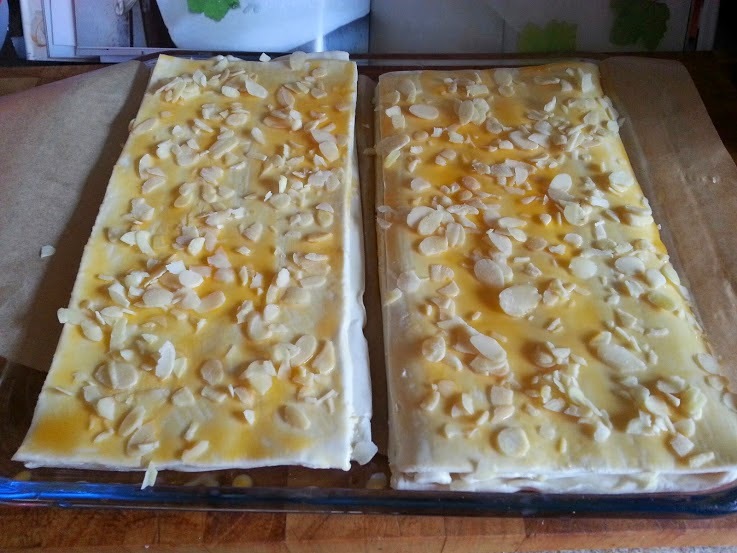 Split each piece of pastry in half horizontally. 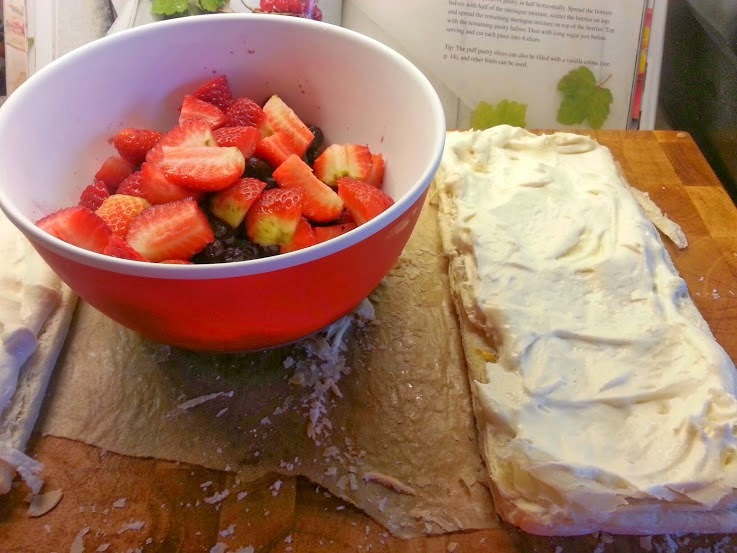 Spread the bottom halves with the meringue mixture and scatter the berries on top. 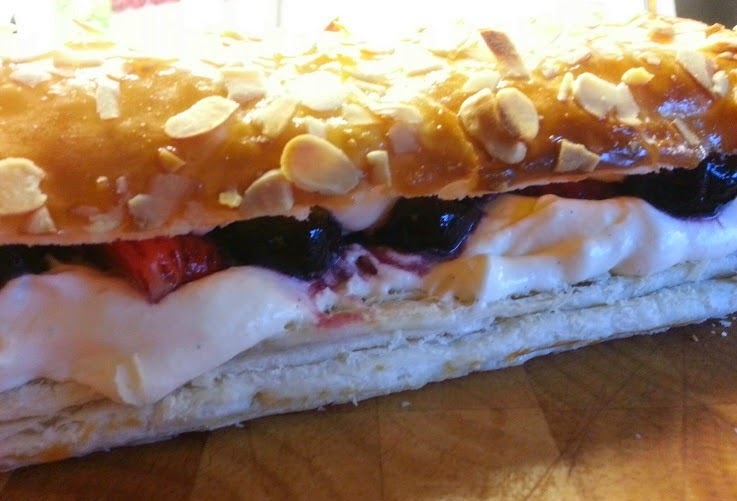 Top with the remaining pastry halves. Dust with icing sugar and cut each piece into 4 slices.Enjoy! I'm really impressed with the 3 Piece Berry Bowl & Colander set. It actually did make the job incredibly easy, mess free, and quick! It was much better storage for my prepared fruit than my usual efforts too, and I was able to leave the fruit in the colander with the lid on so that it could drain without drying out. 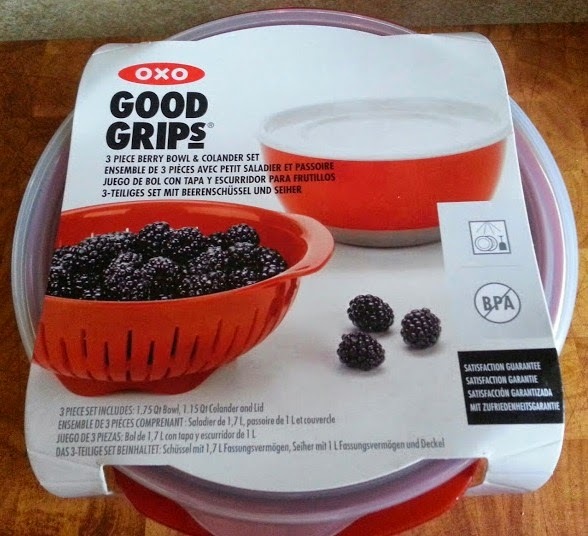 The Oxo Good Grips 3 Piece Berry Bowl & Colander Set is available from High Street stores everywhere. To find your local stockist click here. 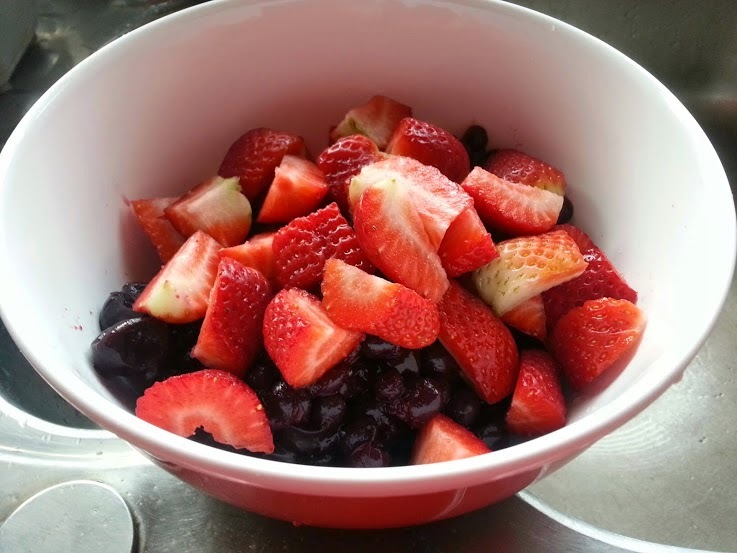 Cooking With Fruit from Parragon Books has an RRP of £8 and I've reviewed it here. I received my Oxo Good Grips 3 Piece Berry Bowl and Colander Set, and Parragon Books Cooking With Fruit for review. Oh my goodness, that looks amazing! An impressive dessert! The OXO bowls look great too, it's very clever how it all clicks together. I really like the look of these OXO products and this is no exception. Your dessert looks amazing too! I love the look of this set, and we grow lots of soft fruit so will be a great way to clean and then keep it fresh. Thanks and the puddings looked nice too! I love the look of the OXO set, my kitchen demands effective storage solutions and these would be great. And that dessert- WOW! I'm now a little hungry! 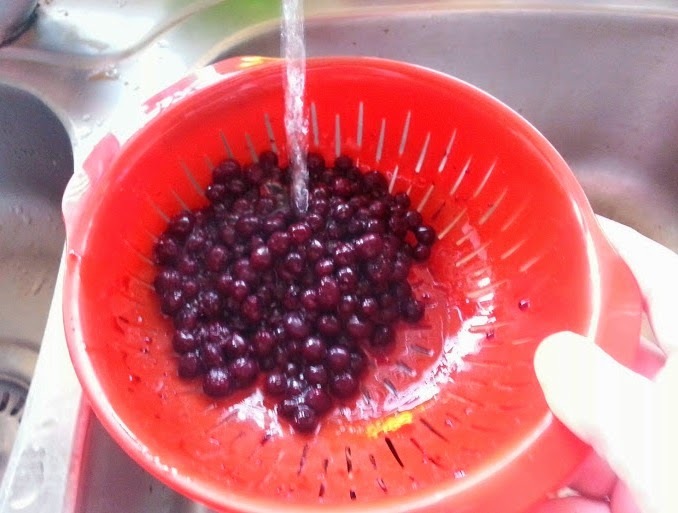 The berry bowl look like a really good idea, I pick blackberries ever Summer and they can be a pain to clean. 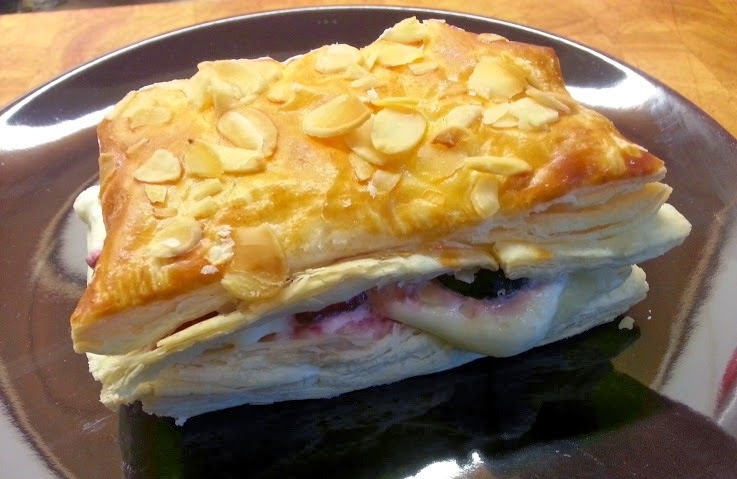 You pastry slice looks yummy too, I might try it. Looks like a great set and I really like the look of that pud!